I will get around to new music eventually. I’m making a list of music I have not listened to. Some I already own, loads more are available on my Amazon Prime music account. Blackstar and the Beano Album are on the list. Just be patent with me, it’s a very long list. I’ve discovered 2 new songs (to me) already this morning when looking for something else to post. I have tried to listen to as much of what clips have been posted on here without skipping past. There is just too much for me to keep up. The title to this post is inspired by this newly discovered remix of the classic Orville song. 2016 could be an interesting year. Come along for the ride. I’ll try make that a bit clearer. 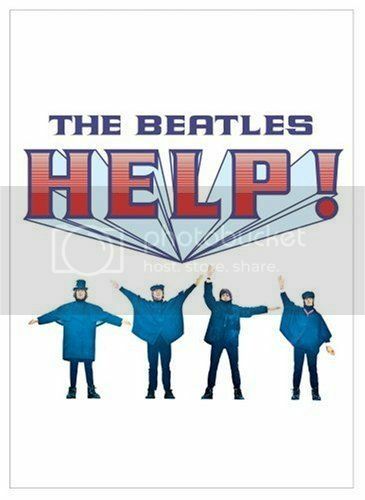 I bought the DVD of Help! in a charity shop yesterday and watched it that afternoon with The Light. She was astonished. She had no idea that there was such a thing as a 60s caper movie featuring The Beatles. She’s not a huge pop fan, but fully aware of the Fabs and their place in pop history but had honestly never heard of the film. Have you ever been amazed to discover some piece of music history which everyone else thought was common knowledge, or enlightened someone else? Perhaps youve only just found out that there was a music festival in 1969 which was known as Woodstock, or had to explain to a mate that Morrissey and the singer of The Smiths are the same person? I’m enjoying the FFS album far more than I ever expected, which has forced me to look at Sparks. Notwithstanding a couple of well played 70’s singles there are twenty odd albums to plough through! Where do I start, are there two or three ‘must haves’ or am I better off getting one of the compilations? Advice please good people.